Adam and I just sent the book off to print. Fingers crossed it comes back as the lovely publication we hope it is. The first book from True Belief Press. The image above is 'Golden Fleece 3' by Renilde De Peuter from a series entitled 'The Blue Path'. How much does it cost to go? Now available here. CLICK CLICK! 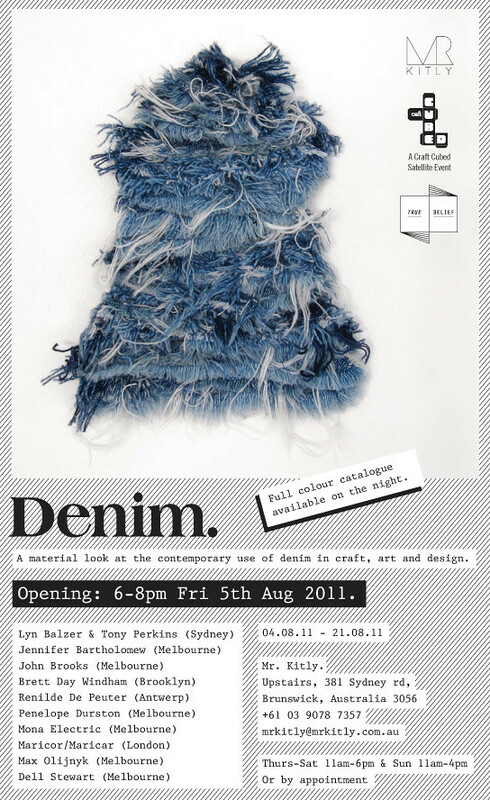 Denim is a material investigation into the use of denim in craft, art and design. It comprises an exhibition curated by Dell Stewart and an accompanying catalogue. This blog is a collection of reference and other relevant material. Craft Cubed is a festival that creates space for practitioners and the public to engage with contemporary issues through craft. 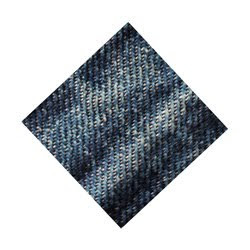 The theme for Craft Cubed 2011 is Hybrid. Collaboration, new technologies, cross-disciplinary practice and emerging forms of craft and design will be explored through exhibitions, public programs and satellite events. Dell Stewart, Artists and Authors. Powered by Blogger.